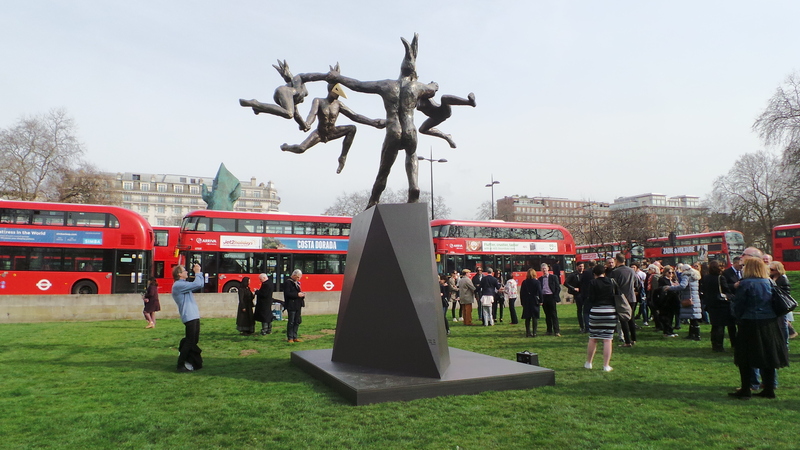 Saturday 11 March 2017 saw the official unveiling of Danse Gwenedour at Marble Arch, as part of Westminster’s City of Sculpture series. 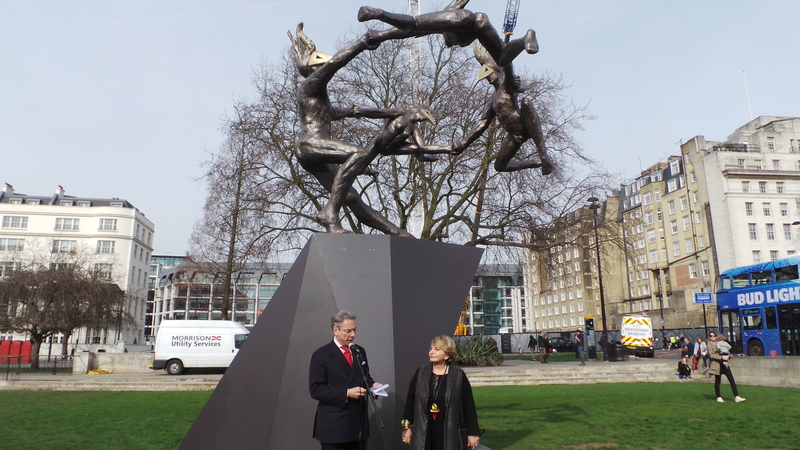 Councillor Robert Davis MBE DL was joined by contemporary British sculptor Bushra Fakhoury to unveil the latest piece of public art at Marble Arch. Bushra Fakhoury described how Danse Gwenedour depicts the human form in a celebratory fashion, inspired by the dance performed by French villagers in Bretagne. Her work is mostly based on myths, fables, folklore, carnivals, parades and created by observing, and studying people in their daily activities. Bushra commenced her graduate studies at the American University of Beirut and has lived in London for 40 years, having undertaken her PhD in Art Education at The University of London. 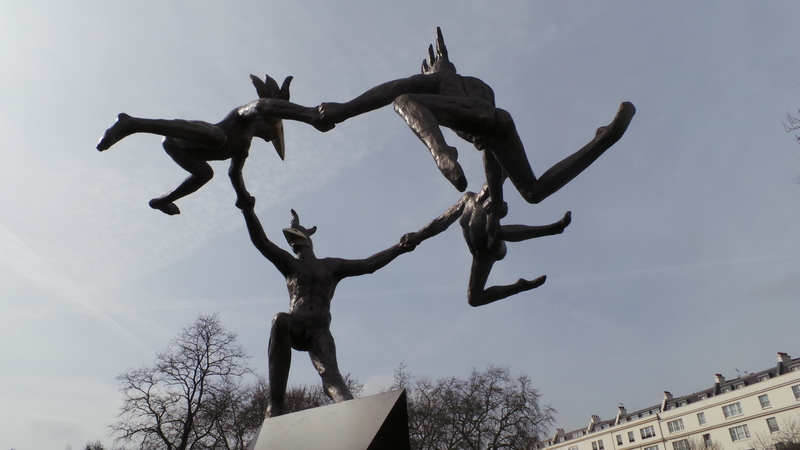 At the south of Park Lane is another of Bushra Fakhoury’s pieces, a 9 meter tall sculpture called Dunamis, which was unveiled on 5 October 2013. “Holding the elephant in a high position gives homage to the traits that we share and gradually forget, such as family ties, solidarity, compassion and cooperation. The ‘pointy hat’ represents the knowledge through the ages. We may not have the extraordinary memory of the elephant, but we need to remember to support the survival of the endangered species. It symbolizes human struggle to achieve excellence, pushing boundaries to make the impossible possible. We need to prioritise, work positively, and relentlessly towards reaching our goals, and dreams” said Bashra at the unveiling of Dunamis.